tell you their story. One of the surrounding barracks is said to be haunted by a ghost named "Clem". This Friday and Saturday, October 29th and 30th, from 5pm to 8pm both days, you will get the chance to tour the Fort Douglas Cemetery. You will get to visit some of the more interesting citizens who are now resting in the Fort Douglas Cemetery. Listen to real stories of their former lives and how they found their way to such a captivating place. History will be told by actors in costume and will be suitable for all ages. You will even get a chance to hear about the real Museum Ghost named "Clem". CLICK HERE for more information on this event. Prices are as follows: $5 adults, $3 children, or $15 family. 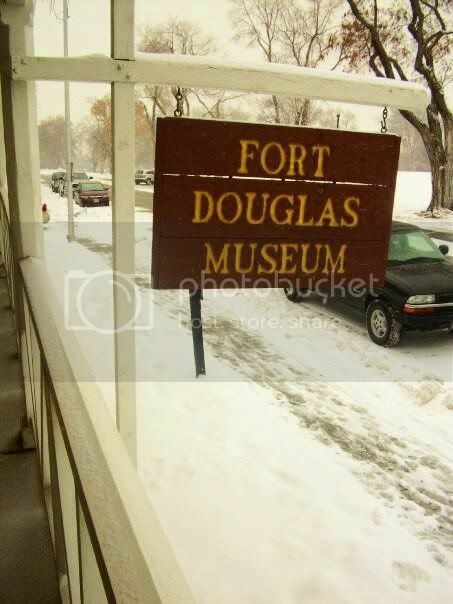 (The museum is always free of charge, but this specific event is a fundraiser for the Fort Douglas Museum). I can't think of any better way to learn the history of the people buried there than from hearing it from the "actual" people themselves! You do not have to pre-register, but if you would like to, call (801) 581-1251. 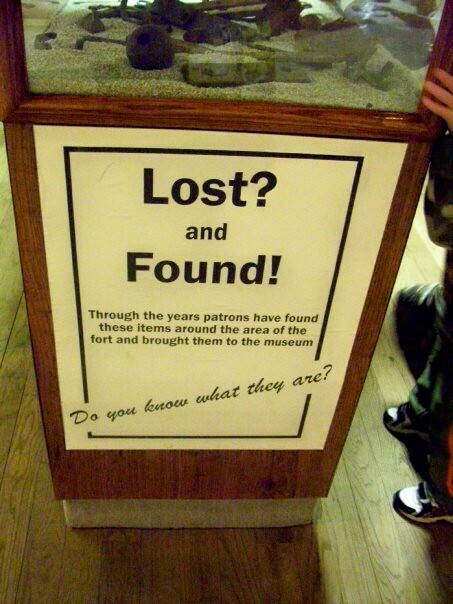 While visiting the museum, we especially liked the "Lost and Found" display. 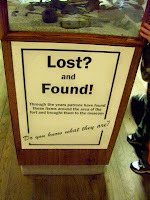 Enclosed in a case are items that visitors have found around the area from the early years of Fort Douglas. 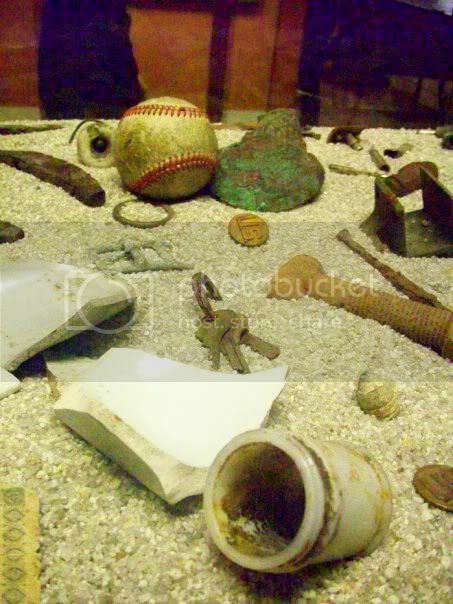 It is fun to look at the items and try to figure out what they are and what they were used for. Some of them are obvious, like a baseball and a set of keys, and others were not so obvious and required a lot more thought and imagination. It is fun to look at the items and wonder who they belonged to, and what that person's life was like as they walked the same ground you are.